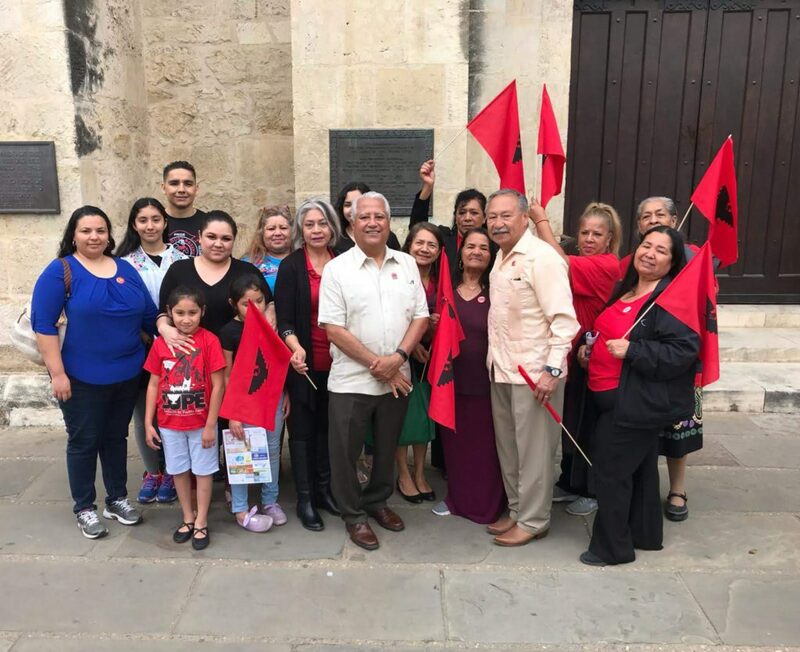 Archbishop Gustavo García-Siller, MSpS, celebrated a special Mass at San Fernando Cathedral March 24 in commemoration of César Chávez, a man that was moved by the circumstances to serve others by organizing them. 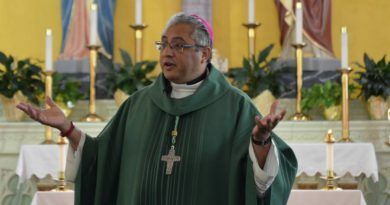 Speaking prior to the liturgy was Paul Chávez, César Chávez Foundation president and chairman. 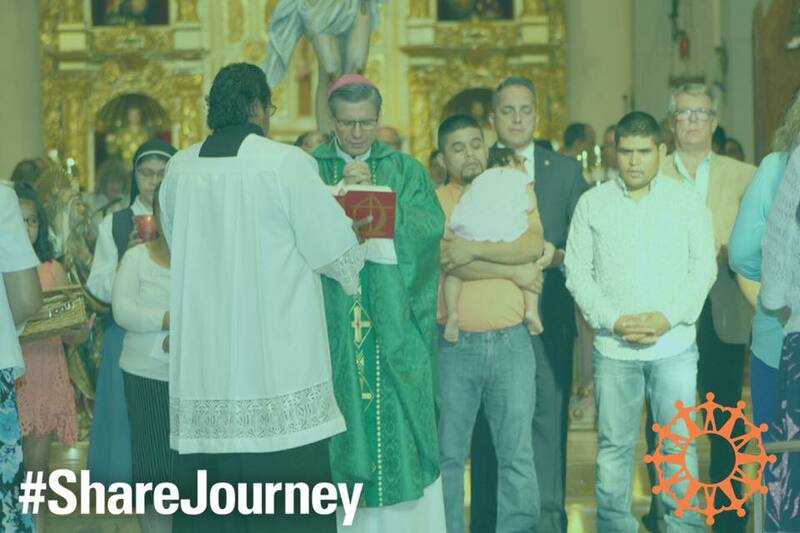 César Chávez began the foundation in the 1960s and it has grown and adapted into a successful group of social enterprises that support hundreds of thousands of Latinos and working families, inspiring and transforming communities from rural to urban areas throughout the Southwest and across generations. 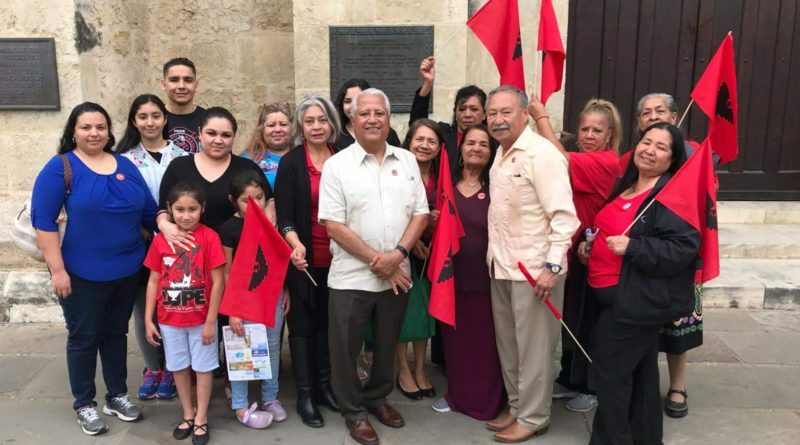 Paul Chávez, one of eight children of César and Helen Chavéz, has spent his entire life with the farm worker movement. He was a personal assistant to his father, and later served with the United Farm Workers of America as a union organizer, contract negotiator, political director, lobbyist in Sacrament and Washington, D.C., and marketing director. Members of the United Farm Workers of America had special seating for the Mass, and also brought forward the offertory gifts. 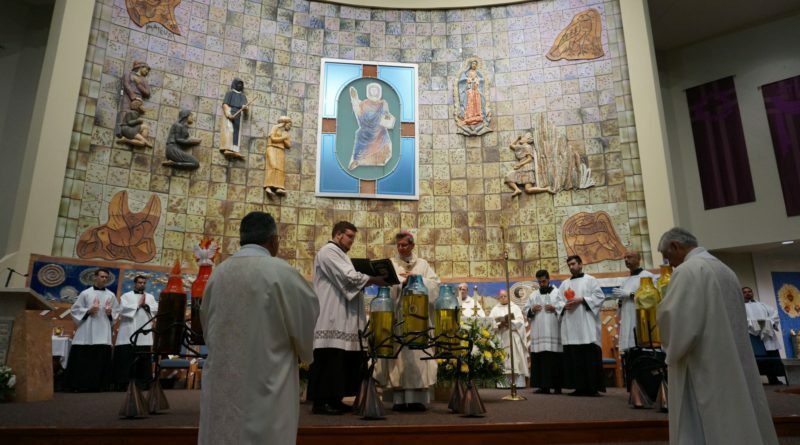 The San Antonio prelate described César Chávez as having a deep faith, saying that he did not retreat from difficulties or obstacles, and was involved with the poorest of the poor migrant workers.